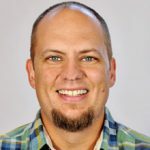 Clayton Bullion, the director of the Baptist Student Ministry at Tarleton State (TX), talks about four factors that have helped create a sending culture in their ministry. Five years ago it was an anomaly for our students to go on mission projects. We’d offer them occasionally, but the response was dismal. Few seemed interested. We knew that had to change so we began to be more strategic and intentional about how we approached student involvement in missions. We have seen a paradigm shift in our ministry over that past few years. Back then, the majority stayed. Today, the majority go. We believe that if you are going to follow Jesus than you’d better be willing to go because Jesus is a sender to the nations. Because of that, we talk about missions ALL THE TIME! It’s everywhere, during every event, every week. I once had a student ask, “Why do y’all talk about missions so much?” The answer is simple: Because Jesus being lifted up among all peoples is that important. When a new believer comes to faith or a student steps up and asks how he or she can grow, one of the first things we talk to them about is how to spend their upcoming breaks for the glory of God. We communicate to our students that part of being a mature Christian is about taking Christ to people who need to hear. I asked one of our most faithful upperclassmen how she got all the students she was discipling and the students in her small group to sign up for missions. She said, “I tell them that if they want to grow then they need to go.” It made me smile, because I remember another upperclassman telling her that when she was a freshman. Back then she ended up going reluctantly, and it changed the direction of her life. Now she is one of the most influential and godly women in our ministry, and she is using that influence to mobilize other students. Last fall I had a group of freshman come and find me after one of our worship services. They asked where they could sign up and pay for Beach Reach, our spring break mission trip, because it was going to be such an awesome experience! It was still September, and we were recruiting pretty hard for our Christmas missions. To be honest, I hadn’t thought much about spring break yet. Come to find out they had been hearing testimonies from their freshman small group leaders who told them they needed to go, and they were sold. I can talk about missions for days and some students won’t give it a second thought, but a student can say the same thing I do along with two sentences of personal testimony, and God uses it to soften other students’ hearts to the idea. We have found that any time we introduce any kind of missions opportunity, it’s a student who needs to share about their personal experience as well as encourage their peers to answer the call to go in order to maximize the impact. An invitation from a student goes a long way. There are students who want to be involved, but just can’t picture themselves as a “missionary.” They just can’t see how they fit in with the big picture. We’ve found that a personal invitation can move mountains. As we look at projects and plan for them, we think about our students on an individual basis. Then, we approach our students one-on-one with a particular project in mind. It usually goes something like this, “Hey Kaylee, we are going over spring break to minister to the Greeks and partiers on South Padre Island at Beach Reach. You’re Greek and your testimony includes some of that lifestyle. Your story could have a huge impact on the people we meet there. You should pray about coming with us.” or “Hey Connor, I’ve noticed that you are really good at talking with other students and connecting with them. There is a great project over Christmas break, and we could really use someone like you. Would you read through the information and pray about it?” Our staff and student leaders will pray through different trips and projects that are available, and if a student comes to mind, we will put their name on the info sheet or application and take it to them directly. We’ve found that so many of our students were thinking about missions, but they just needed someone to encourage them, invite them into it, and show them how they would be an asset to the project. It is also a way to begin to break down excuses. Students feel like they have a thousand good reasons to ignore missions. They are broke, they have to take a class, they are not qualified, they miss their family, and the list goes on. We’ve begun to simply ask students to explain their excuses and weigh it with Scripture. Why is it required that you get ahead in your school work? Do you really think God can’t come up with five hundred dollars for a mission trip? There are some good reasons that some students can’t go, but most of them are just lame excuses mixed with lack of faith. Chances are that whatever their excuse is for not going on missions, it’s not found in the Bible as many times as “Go and Tell.” It has been amazing to see students begin to really examine the root of their excuses and see that it isn’t really about money or taking a class, but about whether or not they trust Him, are willing to be obedient, and accept His invitation to seek His glory among the nations. Ultimately, God’s name will be glorified among the nations whether we go or not. It is a command to go, but it’s so much more than that – it’s an invitation. Just as God invited our students into a relationship with Him, he is inviting them to be a part of something larger than themselves among every tribe and tongue. Once our students taste that, it changes them – HE changes them. And it moves them to go and to bring others along with them. It’s an honor to be a part of God moving in the hearts of students and, through them, bring the message of salvation to all peoples. How about your ministry? What are the key factors that lead your students to be on mission?